Every week we will have a NEW theme for camp! From mermaids, llamas, robots, dollhouses, selfies and more! Weekly camps will introduce a variety of artistic mediums: acrylic paint ,pastels, watercolor, and sculpture. 9:00am (Early drop off) and 3:00pm (late pick up) are $25 per day. Snack included. Please send little artist with a packed lunch and bottle of water. Week 1 - June 10-14 : It's all about ME! All materials are included in the weekly price. Each artist will end the week with 3-4 projects. All materials used in our art camp are toxin free, lead free, and safe. Full payment is due at the time of enrollment. If you decide to cancel, a refund minus a $50 non refundable deposit. Cancellations made within 10 business days of the camp start date are NONREFUNDABLE. 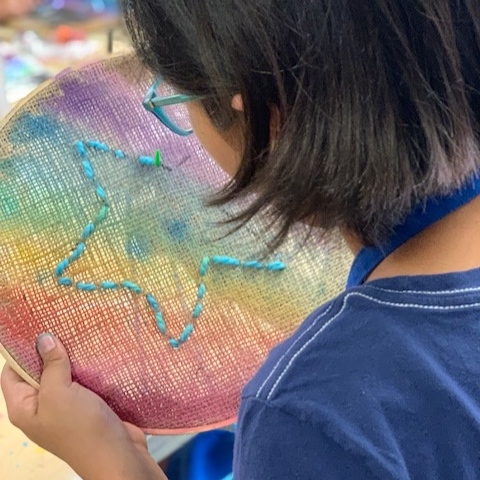 This week of our art camp will focus on turning everyday materials into beautiful pieces of art work! Using an array of paper, plastics, wood, etc. to create original pieces of art! We will learn to make under the sea creatures like mermaid, narwhals, even some ocean scapes using recycled materials! All materials are included in the weekly price. Each artist will end the week with 2-4 projects. All materials used in our art camp are toxin free, lead free, and safe. This week we will explore different materials and create fun sculptures and artwork. Making Robots, mermaids, llamas, anything your little artist can think of thats fun! This week is sure to be a crowd pleaser! From unicorns, narwhals, dinosaurs, and more! We will create 2-d and 3-d artwork using magical creatures as subjects! Week 6 : July 15-19: Yarn, Paper, Scissors! This week we are all about yarn and paper! 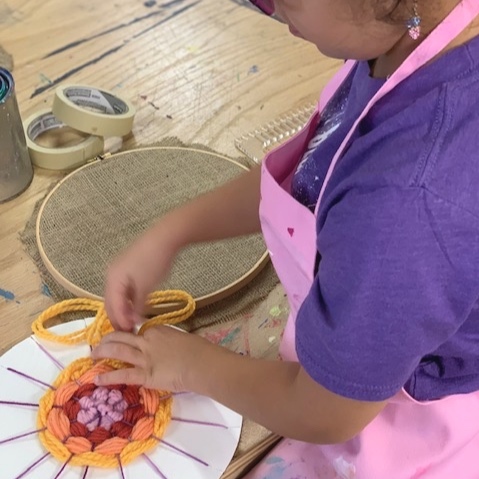 Weaving, Paper Mache, paper collage, Yarn painting, paper sculptures, even drawing with YARN AND PAPER! YES!